For more than 22 years, Gregg has searched high mountain villages, remote monasteries, and forgotten texts to uncover their timeless secrets. 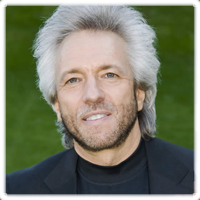 To date, his work has led to such paradigm-shattering books as The Isaiah Effect, The God Code, The Divine Matrix, Fractal Time: The Secret of 2012 and a New World Age and his most recent, Deep Truth. Gregg’s work has been published in 17 languages and 30 countries and shows us beyond any reasonable doubt that the key to our future lies in the wisdom of our past. Dr. Rocco A. Errico is an ordained minister, international lecturer and author, spiritual counselor, and one of the nation's leading Biblical scholars working from the original Aramaic Peshitta texts. For ten years he studied intensively with Dr. George M. Lamsa, Th.D., (1890-1975), world-renowned Assyrian biblical scholar and translator of the Holy Bible from the Ancient Eastern Text. 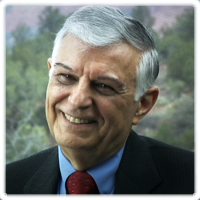 Dr. Errico is proficient in Aramaic and Hebrew exegesis, helping thousands of readers and seminar participants understand how the Semitic context of culture, language, idioms, symbolism, mystical style, psychology, and literary amplification—the Seven Keys that unlock the Bible—are essential to understanding this ancient spiritual document. Cynthia James is a transformational specialist and one of today’s brightest and best loved inspirational leaders and teachers guiding thousands of people to make changes at a deep level for lasting healing in their lives. She is the author of “What Will Set You Free”, as well as a singer songwriter. She is a minister at the Mile Hi Church in Denver. Cynthia James is a transformational specialist and one of today’s brightest and best loved inspirational leaders and teachers guiding thousands of people to make changes at a deep level for lasting healing in their lives. Cynthia’s life was transformed as she transcended her childhood of violence and abuse. Through education and personal healing, she created the foundation for her programs; including being certified as a PTSD facilitator. 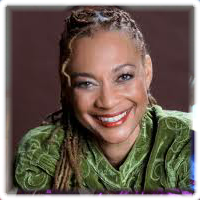 Ms James is personally committed to utilizing creative expression as a vital and effective healing modality. 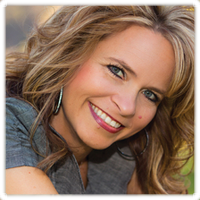 She is the author of “What Will Set You Free”, as well as a singer songwriter. She is a minister at the Mile Hi Church in Denver. Cynthia’s newly released book, Revealing Your Extraordinary Essence, offers practical tools for empowered living. Sunny is the author of Invoking the Archangels. 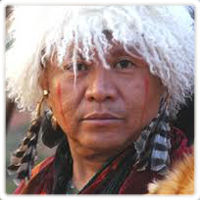 Sunny has become widely known and respected as an International Intuitive, Medium and Spiritual Teacher. 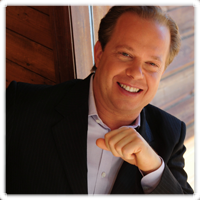 Sunny has been featured on many local and national television and radio shows including Coast to Coast with George Noory and Good Morning Arizona. 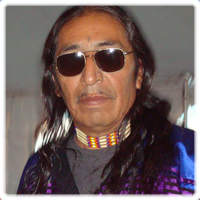 Sunny is actively involved in the Spiritual Community and frequently conducts informational outreach work. Her workshops and seminars at Spiritual Conferences, Holistic Expos, Community Colleges, Bookstores, City Libraries and her own Spiritual Healing Center in Glendale, Arizona are highly attended. 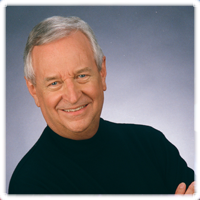 Dr. Rollin McCraty –Rollin McCraty, Ph.D. is the Executive Vice President and Director of Research at the Institute of HeartMath, and has been with the organization since its inception in 1991. He worked with founder Doc Childre to formulate the research goals of the organization and create its Scientific Advisory Board. Dr. McCraty is a Fellow of the American Institute of Stress, a Visiting Senior Scholar at Claremont Graduate University, and a Visiting Professor at University of Alabama at Birmingham. 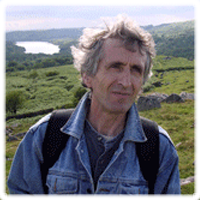 He has co-authored and published numerous research papers. Known as the face of contemporary meditation, best-selling author Sarah McLean has taught thousands of people worldwide to meditate. Deepak Chopra recommends her book, Soul-Centered: Transform Your Life in 8 Weeks with Meditation (Hay House 2012) saying it’s “entertaining, informative, and inspiring for even the most experienced meditator." Sarah is now the director of the McLean Meditation Institute for Transformative Meditation Training in Sedona, Arizona which offers meditation classes, self-discovery retreats, and teacher certification programs. Her work is shared in corporations, educational institutes, new thought churches, Hay House events, Esalen, Omega Institute, Miraval, and at inspirational gatherings nationwide. She’s been featured in the New York Times, the Huffington Post, Prevention Magazine, and has taught meditation on national TV including Fox Health News. Download her free meditations at www.McLeanMeditation.com. 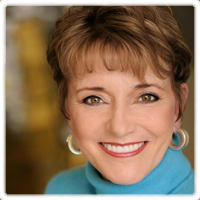 Mary Morrissey – Speaker, best-selling author, and consultant for over three decades, Mary Morrissey’s transformational talks and seminars have made her one of the elite teachers in the human potential movement. She is the president and founder of LifeSOULutions, an international company providing programs and products that transform dreams into reality. Representing the Association for Global New Thought, she has co-convened and facilitated 3 different weeklong meetings with His Holiness The Dalai Lama in leading conversations with world leaders, and addressing the most significant issues our world is facing. In addition, as part of the Gandhi-King delegation, she met with Nelson Mandela in Cape Town, South Africa. 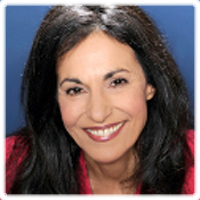 Dr. Deborah Rozman, PhD, CEO of HeartMath Inc.
Deborah helped Doc Childre start the non-profit Institute of HeartMath in 1991 and as Executive Director she was involved in overseeing the exciting research on the heart and creating the HeartMath training programs. 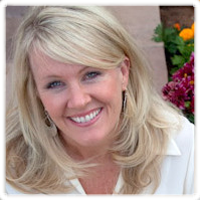 Before HeartMath, Deborah was an entrepreneur, psychologist, business executive and founder of one of the first private children’s school in holistic education in Northern California. She studied at the University of Chicago and University of California at Santa Cruz, and has a master's degree in child psychology and a doctorate in the psychology of consciousness. Colin Tipping is the creator of what has come to be recognized as the most powerful leading-edge technology for personal and spiritual growth today – Radical Forgiveness. His book, “Radical Forgiveness: Making Room for the Miracle,” has become an international best-seller, leading to the healing of individuals, families, races, corporations and communities. Tipping has authored other books and online programs to help people apply the Radical Forgiveness Technology to numerous practical, real-life applications including self-forgiveness, improving relationships and weight loss. 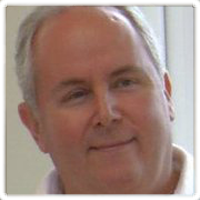 Mike Booth is a teacher, author and Chairman of Aura-Soma. AURA-SOMA® is color energy and color therapy for everyone. It is a non-intrusive and self-selective system in which colur is the key. 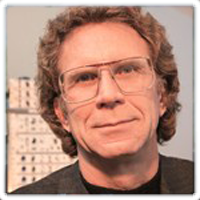 Mike is an author of many books on the understanding of color and the Aura-Soma Color-Care-System®, which have been translated into several languages including German, Spanish, Chinese and Japanese. 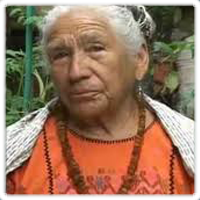 Ernesto Hernandez Olmos – Mexico, Bridging the Wisdom of the Elders to today’s Youth. Ernesto was born in Oaxaca, Mexico. 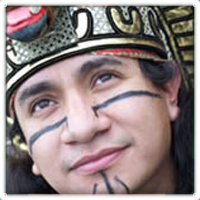 Ernesto is a multi-talented artist, specializing in many cultural art forms of the pre-Columbian peoples of Meso-America including music, dance, storytelling, sculpture, painting and making traditional instruments out of wood and clay. Ernesto was born in Oaxaca, México, and received his degree in art at "La Escuela de Bellas Artes" of the University of Oaxaca, and is an accomplished muralist with many standing artworks around the Bay Area. 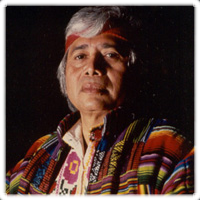 Ernesto is founder and director of Xaguia Gura and co-director of Balamoatl, projects dedicated to the diffusion of indigenous Meso-American culture, music and dance. He has participated in over forty collective exhibits, eight one-man shows, and mural projects. His paintings have been shown at the Metropolitan Museum of Art in New York in an exhibit on young Oaxacan painters. Hernandez has been teaching art, music and dance to children and adults for the last six years. He is currently serving as an Artist in the Schools for a California Arts Council program hosted by MOCHA (The Museum of Children’s Art), and for the Mexican Museum Street Smart Program in San Francisco. Angaangaq Angakkorsuaq, shaman, healer, storyteller and carrier of the Qilaut (winddrum), is an Eskimo-Kalaallit Elder whose family belongs to the traditional healers of the Far North from Kalaallit Nunaat, Greenland. His name means ‘The Man Who Looks Like His Uncle’. Uncle, as he is frequently called, bridges the boundaries of cultures and faiths in people young and old. His work has taken him to five continents and over 50 countries around the world including South Africa, North America, South America, Asia, Arctic Europe, Russia, and Siberia. Angaangaq conducts healing circles, intensives, and Aalaartiviit – traditional sweat lodges. 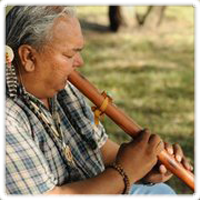 His teachings are deeply rooted in the wisdom of the oral healing traditions of his people. 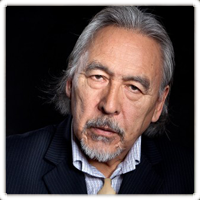 Angaangaq is a keynote speaker at international conferences on climate change, environmental and indigenous issues. His work is acclaimed in promoting interracial and intercultural harmony. Angaangaq’s ceaseless work takes him to schools, prisons, businesses, conferences and senior homes, both at home in Kalaallit-Nunaat and throughout the world. 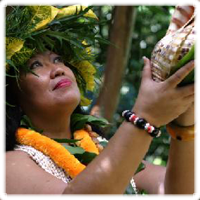 Auntie Nahi – Hawaiin Kahuna teacher and healer who blessed the beginning of our project in June 2009, deceased September 2010. Nahi was devoted to Maui and the people of her island. Indeed she loved all people, all colors, beliefs and stations in life. She was a healer in the truest sense of the world and the people she brought together in love and ceremony had been forever changed by her ability to express unconditional love.